Sources tell The Hollywood Reporter that the sequel to June’s Snow White, which starred Stewart Hemsworth and Charlize Theron, is being reconceived as a spinoff movie. It’s unclear whether director Rupert Sanders will return, though one source with ties to the production says he will. However, screenwriter David Koepp, who had been hired to pen the continuation of the original film, is being settled out of his rich contract, according to sources, as the project is being transformed into something other than the movie that Koepp had been hired to write. The move comes in the wake of Stewart, 22, and the married Sanders, 41, apologizing publicly for a romantic affair after compromising photos of the duo were published in July. While it might have been awkward for Stewart and Sanders to reunite for a sequel, it is not clear why the decision to move forward without Stewart was made. It is highly unusual for Hollywood studios to drop stars of franchises between the first and second installments. 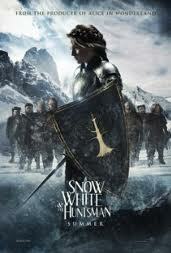 The original plan, according to sources, was to make two films featuring the Snow White character and a third film spinning off the Huntsman, similar to how Fox’s X-Men series has spun off Wolverine. Posted in GOSSIP, HOLLYWOOD, NEWSTagged Charlize Theron, Stewart Hemsworth, the sequel to June's Snow White, Universal StudioBookmark the permalink.